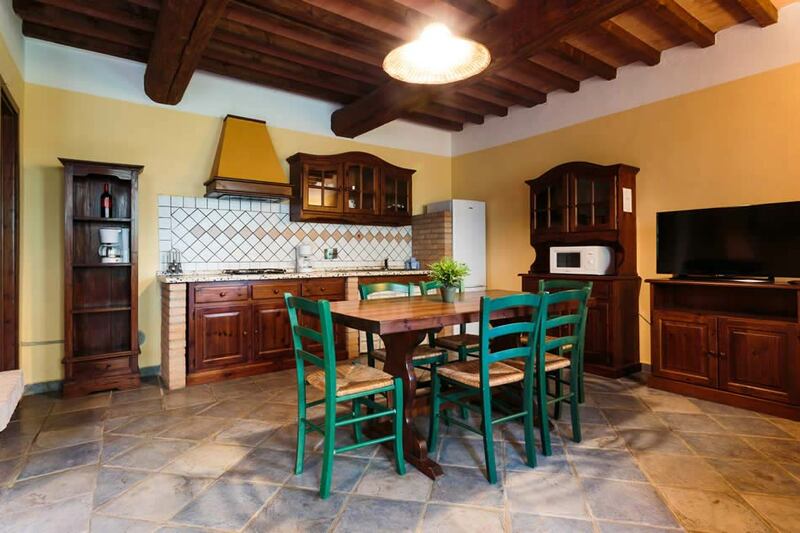 Talpa is a spacious three-room holiday apartment with a surface varying between 55-70 sqm hosting 4+2 beds. 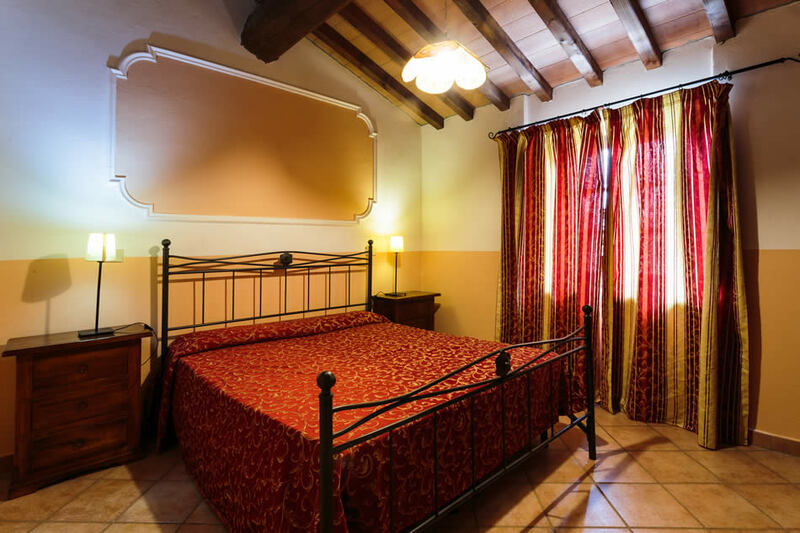 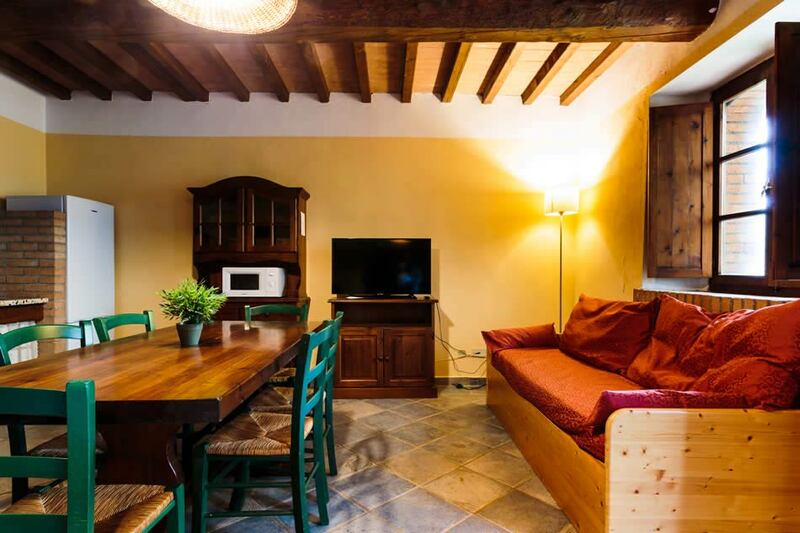 At our agritourism in Riparbella, Tuscany, you’ll find this three-room apartment built on 2 floors: on the ground floor is a living room with chimney and kitchenette (plus tv and microwave) as well as a 2-seater sofa bed. 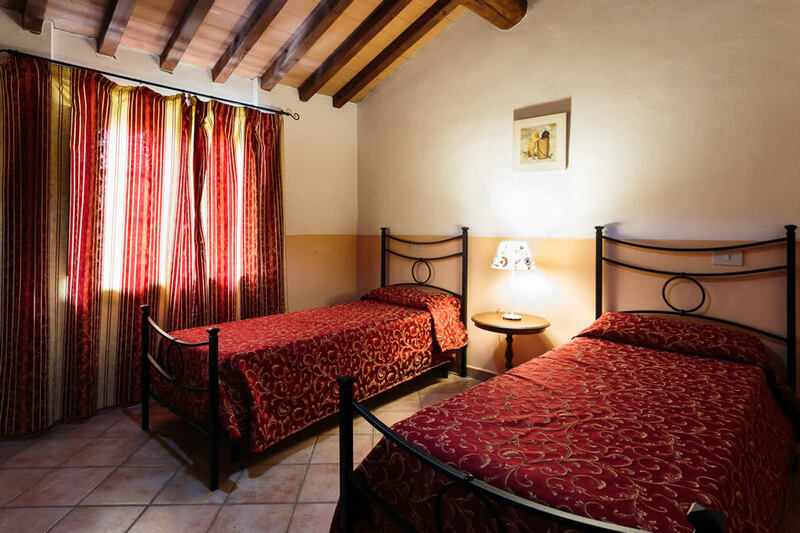 On the upper floor lies a room with 2 single beds, a double bedroom and a bathroom with shower. 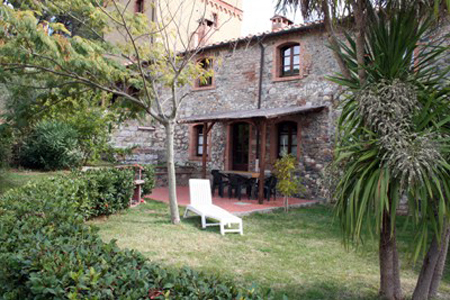 The external area is equipped with a table, chairs and a private barbecue.